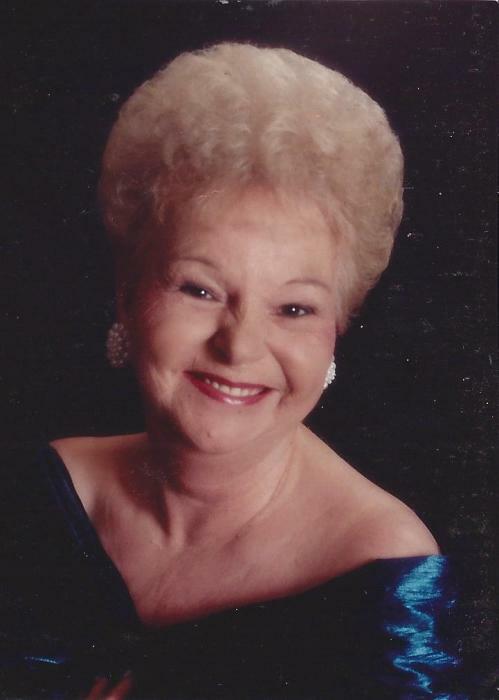 Shirley Matthews White, 81, died Wednesday, August 22, 2018, at her residence. Mrs. White was born on February 1, 1937 in Williamsburg County, daughter of the late Earl Burrows and Eloise Burris Burrows. She was a member of Tabernacle Free Will Baptist Church. Surviving are her children, Donna Matthews (Allen) Land of Florence, Joey (Sandra) Matthews of Coward and Jimmy (Randi) Poston of Columbia; grandchildren, Cody Keith Poston, Joshua Keith Matthews, Laura Matthews and Jamie Land; and sister, Earline Filyaw of Camp Branch. Mrs. White was preceded in death by her husbands, Garland Keith Matthews and Billy "Cotton" White. Funeral services will be 2:00 PM, Saturday, August 25, 2018, at Tabernacle Free Will Baptist Church, Coward, with burial to follow in the church cemetery, directed by Carolina Funeral Home, Scranton. The family will receive friends from 1:00 – 2:00 PM, Saturday, August 25, 2018, at Tabernacle Free Will Baptist Church.